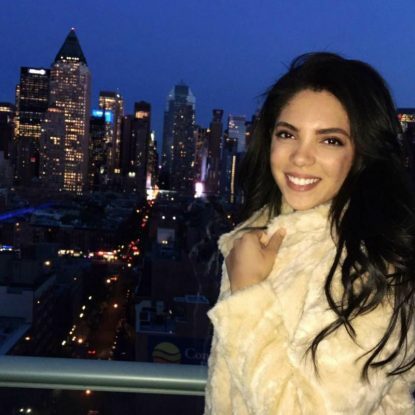 PORTLAND, Ore. (CNS) — A 2015 graduate of Jesuit High School in Portland died after falling from a bell tower at Fordham University in New York City early the morning of April 14. Sydney Monfries, a Portland native, was a senior at the Jesuit-run university and weeks away from graduation. Monfries was “beloved for her spirit of kindness, generosity and compassion,” Thomas Arndorfer, president of Jesuit, said in a written statement. The 22-year-old fell from the clock tower at about 3 a.m., according to a statement released by the university. She had reportedly climbed into the tower with friends. Monfries was taken to a hospital, where she died from her injuries. The Observer, a student newspaper at Fordham, reported that police said Monfries fell through an opening on the first landing of the tower. “She fell 40 feet through the inside of the tower and struck her head on the ground,” the paper said. The Jesuit university said it is investigating how the students gained access to the tower, which is supposed to remain locked. It is located on Fordham’s Rose Hill campus in the New York borough of the Bronx. In 2013, the student-run Fordham Ram newspaper published an article about the tradition of climbing the Keating clock tower, reporting it tops the bucket list of many Fordham students, even though it’s risky. “For many Fordham students on the Rose Hill campus, the allure of the clock tower has become irresistible,” The Observer said. Monfries was majoring in journalism with a focus on digital technology and emerging media. According to her LinkedIn profile, Monfries was a photo editor intern at InStyle. On her Facebook page — recently filled with messages of condolences and prayers — Monfries’ last public post was in January for her birthday. “For my birthday this year, I’m asking for donations to Alzheimer’s Association” reads the post.